Are you interested in learning more about what we have to offer you? We are more than happy to provide additional information about our services. For service timelines or any other questions you have, contact us through the form below. Contact us today in Baltimore, Maryland, for exceptional representation by a behavioral health advocacy. Your generosity provides us the opportunity to save money on things and use it to develop our members! Thank you so much for your willingness to give. 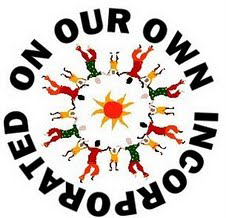 On Our Own, Inc. is a registered 501(c)(3) non-profit organization. All donations are tax deductible to the extent permitted by law. * Be a mental health consumer. * Have been in a psychiatric hospital or have received psychiatric care for at least 24 hours. * Pay annual membership dues of $5.00 or volunteer for the organization for at least 15 hours of operational center time. * Attend at least six of the twelve annual membership meetings at any center location. Friends of On Our Own, Inc. are people who support the goals of the organization. The fee is $15.00. 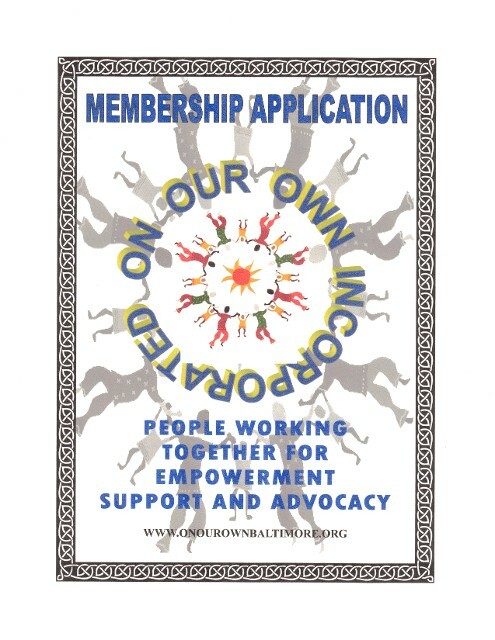 To be a corporate member of On Our Own, Inc., the fee is $35.00. To be an honorary philanthropist of On Our Own, Inc., the fee is $100.00 or more. To join at any of these levels, please fill in the following form and submit payment electronically.